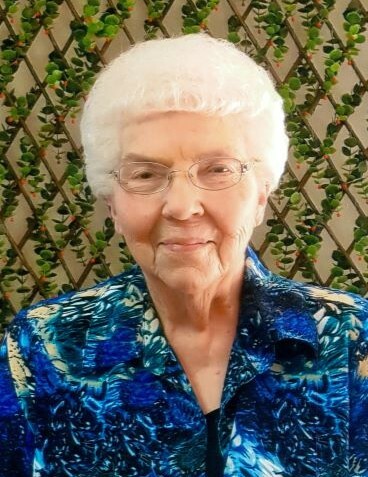 Reba M. Gifford, 89, passed away March 14, 2019. Memorial services are scheduled for 11:00 AM, Saturday, April 6, 2019 at Sunset Church of Christ with Mike Veilleux officiating. Reba was born February 21, 1930 in Childress, Texas to Louis and Lovie (Gregory) Freeman. She graduated from Roswell High School in 1948. Reba married the love of her life, Johnnie Gifford, June 4, 1948. She enjoyed singing, teaching, arts and crafts and WINGS group at Fox and Lake Church of Christ. Reba was preceded in death by her parents; husband, Johnnie L. Gifford; daughter, Kay Santo; grandson, Micah Gifford; brother, Elmer Freeman and sister, Louise Arthur. Survivors are her son, Dale Gifford and wife, Marsha of Rocklin, CA; daughters: Robin Fawcett and husband, Willy of Carlsbad, NM and Pam Martindale and husband, Richard of Amarillo, Texas; 6 grandchildren, 10 great-grandchildren and 6 great-great-grandchildren and numerous nieces and nephews.